NEW YORK SHELTER ANIMALS FACE GRAVE AND IMMEDIATE DANGER. In 2010, No Kill advocates succeeded in getting a rescue access bill introduced in the New York State Legislature that would require shelters to give animals they are planning to kill to qualified rescue organizations. This bill had the power to save 25,000 animals a year. It was defeated by an ASPCA-led coalition, which then introduced their own bill claiming to do the same but which, in reality, codifies the status quo and erodes existing protections for shelter animals. If this bill passes, shelters will be granted the legal authority to refuse rescue groups for arbitrary reasons, such as the rescue group is in a neighboring county, or the rescue group criticized the shelter for poor, abusive or neglectful conditions. In addition, it eliminates the holding period for scared cats, feral cats, shy dogs, and traumatized animals by granting shelters the legal authority to kill animals for being in “psychological pain” immediately on intake. They could be killed within a minute of arrival. With this bill, the ASPCA is trying to not only stop rescue access, but to erode what few protections animals in shelters already have. On Wednesday, the NYS Assembly Agriculture Committee will take up Assembly Bill A05449A by Amy Paulin. It is expected to pass. A05449A is an ASPCA-written bill that seeks to undermine support for true shelter reform and true shelter access, a rival to Assembly Bill A07312, the Companion Animal Access & Rescue Act (CAARA) by Assembly Member Micah Kellner. It will not provide true rescue access for animals shelters are committed to killing and more importantly, it will eliminate the holding period for shy dogs, scared animals, and all feral cats in New York State by giving shelters the power to kill animals they consider to be in “psychological pain” immediately. In short, scared cats, feral cats, shy dogs, and stressed/traumatized animals could be killed within a minute of arrival. In addition, the ASPCA/Paulin bill will give shelters virtually unlimited power to decide which animals are subject to rescue and which rescue groups they want to work with. Not only would this continue current practice, giving the stamp of legislative legitimacy to killing despite a rescue alternative, it would make it more difficult for rescuers to seek real legislative reform in the future. The ASPCA bill would not have saved Oreo. In fact, it would not save the majority of the 25,000 animals currently being killed in New York State shelters every year despite a qualified rescue alternative. For example, the bill specifically says shelters do not have to work with rescue groups outside of their county, even when those organizations have the ability, capacity, and desire to save lives. This allows shelters in rural communities to avoid working with the extensive rescue group network of New York City, Buffalo, Rochester, and Syracuse, where homes are in greater abundance. It also allows shelters to avoid working with rescue groups and No Kill shelters in neighboring suburbs or counties. Moreover, they do not have to work with any rescue groups. The bill specifically says that shelters “may” give animals to rescue groups rather than kill them, instead of “shall” give the animals to them. And it gives them unlimited authority to determine whether a rescue group or particular animal qualifies. If shelter staff believes the rescue group is unfairly critical of the shelter, they can deem that rescue group “abusive” under the law and prevent them from rescuing animals. That is the situation we have now, and shelters like New York City’s pound have kicked out rescuers and volunteers for trying to improve conditions by exercising their First Amendment rights. There is no question that a rescue access law is needed in New York State. A 2010 survey found that 71% of NYS rescue groups have been turned away by shelters and those shelters subsequently killed the animals they offered to save. The survey also found that roughly half of all non-profit organizations have been the subject of retaliation, including retaliatory killing of animals, for expressing concern about inhumane conditions in shelters. One bill—CAARA—seeks to truly end these practices. While CAARA empowers non-profit animal rescue organizations to fulfill their missions, a right often denied to them by larger non-profit organizations and shelters, the ASPCA bill paradoxically assumes such organizations guilty of the very problem they were chartered to combat. CAARA provides whistleblower protection for rescue groups, creating an incentive for non-profit organizations to help end cruelty or neglect at shelters without fear of retaliation and loss of rescue access. 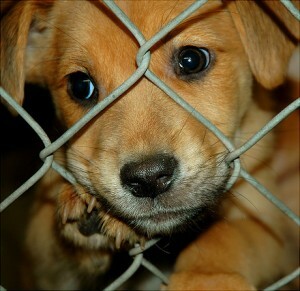 The ASPCA bill gives shelters the authority to refuse working with rescue groups if they determine those groups are hostile toward the shelters, effectively eviscerating any whistleblower protections and conditioning rescue access on silence as to inhumane conditions which may exist in that particular shelter. CAARA ensures public safety by mandating precise criteria for determining which dogs are dangerous or aggressive and therefore exempt from rescue access. The ASPCA bill fails to specifically define the terms of such exemptions, again leaving these important and life-determining evaluations open to decisions unrelated to a dog’s true temperament. CAARA protects animal well-being by providing specific, sensible, and objective criteria whereby a shelter can refuse to provide rescue access to a particular non-profit for reasons of proven cruelty or neglect. The ASPCA bill allows shelters to refuse rescue access to non-profits even when none of these conditions actually exist. The shelter claims the puppy is in “psychological pain” because he whines in the shelter. The shelter says the rescue group is hostile because it reported publicly that shelter animals are allowed to wallow in filth while staff is not reprimanded for failure to clean. The rescue group is in a neighboring county. The shelter states that it does not believe the rescue group can provide adequate care without having to objectively state how or why they arrived at that conclusion. The puppy has a cold which the shelter determines to be “contagious” and therefore “deadly” to other animals in the shelter. The shelter claims the puppy is aggressive. The puppy was irremediably suffering and the prognosis for rehabilitation was poor or grave. The rescue group had a volunteer, staff, or board member who has charges of animal neglect, cruelty, or dog fighting pending against them or a conviction for neglect, cruelty, or dog fighting. The rescue group failed an inspection that was conducted in a timely manner with objective criteria for failing. 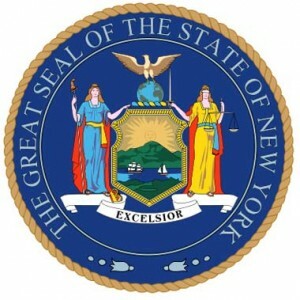 The rival bill is an attempt to co-opt the movement for rescue access and to defray criticism by claiming they support ‘rescue access’ without directly challenging the conditions which make true rescue access so vital to saving lives in New York State. It makes it more difficult for rescue groups to save animals and easier for shelters to kill. Finally, although the bill suggests that shelters would be required to scan for microchips, match lost and found animals, and post these animals online, in reality, it gives them the ability not to if they determine, wholly within their discretion, it is not “practicable” to do so. Every provision requiring shelters to do anything is preceded by the loophole not to if they determine it is not “practicable” to do so. Practicable literally means capable of being done or reasonable, but there are so many alternatives to it—reasonable, feasible, practical—that no one uses it anymore. That is, no one outside the law. It survives today in the jurisprudence of this nation. You will find it in law where it has only one meaning: you do not have to do this if you don’t want to. Its singular purpose is to mollify opposition by enacting reform, but then providing a loophole big enough to drive the proverbial Mack truck straight through it. When you read legislation and you see that dastardly word, you will know that the legislator is not serious about reform. You will know that the bill is meant to ride popular sentiment on an issue but not upset the powerful interests who are vested in the status quo. So you can have legislation, for example, that is called the “Climate Change Prevention Act.” It might have policy statements that sound ambitious: “Whereas, today climate change is threatening to destroy economies, cause species extinction, and result in irreversible harm to the planet and all living things.” It might then put the blame on use of non-renewable sources of energy. And then, in what sounds very promising in today’s political climate, it might “mandate that utilities must purchase 50% of their energy from renewable sources by 2015.” And you might think that this is something you can get behind. You will vote for this and vote for the legislator who introduced it. But wait, you search the text of the law, and there it is, one tiny word, the kiss of death that potentially renders the whole thing a paper tiger. It goes on to say, “if practicable.” In other words, if it isn’t too much trouble. And it always certainly is. Or we wouldn’t need a law to force them to do so in the first place. Please help defeat this bill so we can pass real reform and to prevent feral cats, scared dogs, and all the other animals from facing certain death if shelter bureaucrats claim they are in “psychological pain.” We must let the ASPCA, Assembly Member Amy Paulin, and, most importantly, the members of the Agriculture Committee know that this is not acceptable. The fate of tens of thousands of animals every year hang in the balance.